A rising trend of smartphone use is being seen these days, and the costs of the same are also soaring high. Everyone wants to keep up with the trends, but it is not easy to keep up with the trends at such high prices. The Indian smartphone users come from all socio-economic backgrounds, and thus the smartphone brands are also coming up with more and more affordable options. Out of the major brands that are capitalizing on the smartphone market, Gionee is a market leader with quality options at affordable prices. Gionee is a China-based company found in 2002 and has been in the Indian smartphone market for a long time now. The company has a handsome market share in India’s smartphone market. There are plenty of options in smartphones provided by the brand that is within the price range of under 20,000 INR making them affordable. There are also options in the economical price range of under 10,00 INR provided by the company, and one such option is Gionee P5 Mini. This handset is full of attractive features and completely justifies its price. When it comes to the internal aspects of the phone, the processor is a 1.3 GHz quad-core which keeps the phone smooth and efficient. The RAM of the phone on the other end is of 1 GB which again enables you to use the phone without any hindrance in switching apps and doing multitasking. The phone works well with the help of Android 5.1 operating system, and it has dual sim slots. These features make the phone easily accessible. The phone supports a micro SD card for expandable storage and the capacity of Gionee P5 Mini for expandable storage is 128 GB. The expandable storage can help you in storing the data, images, and videos of your choice without interrupting the working of the phone. The camera is yet another essential part of a smartphone, and it lets you save important moments in your life. The primary camera in this phone is of 5 Megapixels, and the secondary camera is of 2 megapixels. The network compatibility of the phone is with all the network operators and with all types of networks like 2G, 3G, and 4G. It simplifies the utility of the phone to a large extent with high accessibility. Talking about other basic details of the phone, the available colors are white, blue and black with elegant design and compact size. 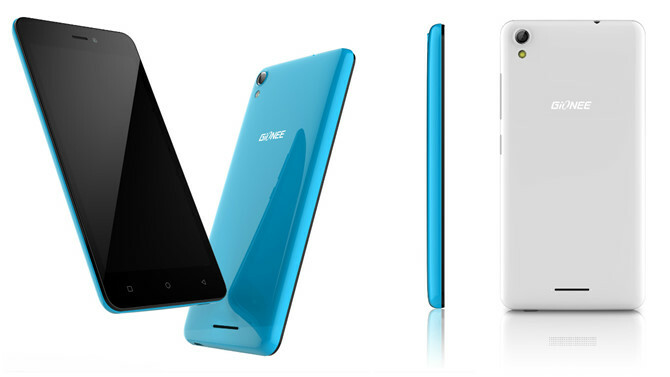 The weight of Gionee P5 Mini is 153 grams, and other measurements are 132.00 *66.00 *9.10 (height*width*thickness). As you can see by the measurements of the phone, it a compact handset with all the powerful features. Remember how difficult it is to use phablets and tablets because of their massive size and weight? Gionee P5 Mini is very handy which makes it, even more, user-friendly in the long run. You can purchase this phone at the best prices from any smartphone retailers, and even on EMI basis. All the above features make the phone a good deal in terms of price vs. the features offered. The phone is highly affordable when compared with the other handsets in the market. Buy a Gionee P5 Mini this festive season from the Bajaj Finserv EMI Network on No Cost EMIs. This expansive shopping network comprises more than 60,000 online and offline retailers that are spread across 1,300+ cities. You can buy this excellent Gionee P5 Mini on EMI to keep your budget on track without paying anything upfront. Using your EMI Network Card, you can convert the purchase price of the product into easy EMIs. Also, with the EMI Network Card, you can avail funds of up to Rs.4 Lakhs to buy electronics, appliances, clothing and other products. You are free to repay over a flexible tenor of 3 to 24 months as per your convenience. In case, you do not own the EMI Network Card; you can apply for one online or avail in-store financing from the nearest offline partner seller to complete your purchase. Apart from this, you can also avail offers, discounts on MRP and amazing cashbacks from any partner store on the EMI Network! These are No Cost EMIs which means you don’t have to pay anything extra when you purchase through your EMI Network Card, saving you a lot of money. All you have to do is submit your KYC documents along with a cancelled cheque to the store representative and avail an EMI Network Card. It is very easy to get the best Gionee P5 Mini offers with the help of Bajaj Finserv. Bajaj Finserv provides you with pre-approved offers for a personal loan, home loan, EMI finance on different products and other financial services. You can highly ease the process of availing financing and also save on time. All you have to do is share a few basic details and check out your pre-approved offer.